This weekend I had my first experience of matched, following the simple guidelines given to me from Online Betting School’s #freebetchallenge. 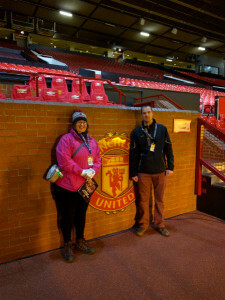 I also went to my first ever live football match as I had foolishly bought my husband tickets as his Christmas present. Here are my first week’s results and thoughts. 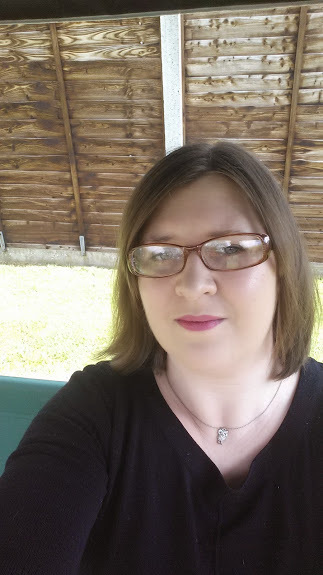 In total this week I put down £25.00 in cash and I have won £51.50 that I can withdraw and pop straight into my bank account, I also got £20.00 cashback, so that is a total profit of £46.50, over doubling my money which isn’t bad, I’m pretty happy with that. So here’s how I did it, well I say me, I only did what I was told! I set up three new betting accounts, one with Ladbrokes, one with Coral and one with Betfair and as a new customer I got some great free bet offers. By depositing £10 with Ladbrokes I got a £10 free bet, I also got £20 cashback going through Quidco, I could have got even more cashback, £31.50, had I gone through Topcashback which is what I should have done but I’ll be honest and say I couldn’t be bothered to set upa new account when I already use Quidco regularly. By depositing £5.00 with Coral I got 4 x £5.00 free bets and by depositing £10.00 with Betfair I got 3 x £10.00 free bets. So at this stage I had the £25.00 cash I had deposited plus the £60.00 in free bets to play with and quite frankly no clue what to do with it! Plus I also had my £20 cashback. 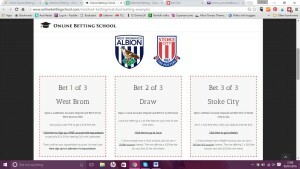 Setting up the accounts was really straight forward and the free bets were added automatically so that was easy too. A handy tip for you, some offers are better if you don’t use a cashbacksite so be watchful and make sure you do what is shown. Following the example given to me on www.freebetchallenge.co.uk I then placed my bets. The concept is simple enough for even me to understand, pick a match and place bets on all three possible results, a win, lose or draw guaranteeing at least one of those bets will come good. So on the Saturday I was betting on the West Brom v Stoke match using the cash I had put in the accounts and then on Sunday I used my free bets on the Everton v Spurs match. All done following the examples I had been given. 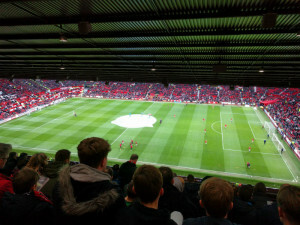 Typically neither were the match I actually watched live, which was Man Utd v Swansea, the other half is a huge Man Utd fan and it was his first trip to Old Trafford, he loved it, I discovered I’m flipping petrified of heights and that I really, really do not understand football! I can safely say that without the examples I would have been a bit lost, well a lot lost, and I’m still a little bit confused about what happens next. I get the whole concept of betting on all three outcomes to guarantee a win. I get the concept of using your free bets on a different match getting withdrawable profits. But there are only so many offers out there, so what happens when they run out? I’m hoping that as I work through each step and read more information and watch all the video tutorials it will just make a bit more sense to me. So to summarise my first week’s experience I can say that setting the accounts up was easy and didn’t take much time Placing the bets was straight forward when following the example I was given. I have made a profit which I’m very happy about. I still don’t like football and I shall not be attending more anymore live matches in the near future. 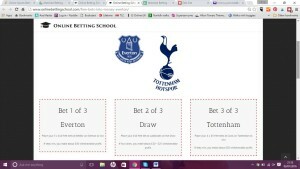 I’m still a bit confused and not 100% convinced by matched betting, but I am less sceptical than before. Next bets are on Friday ready for the weekend matches so I’ll catch you up next week.